Today saw another six players gather at the final table for Event #5: $25,000 No-Limit Hold'em and fight over the largest prizepool thus far in the Poker Masters. It took only three hours for Ali Imsirovic to come out on top after making short order of Ben Yu in heads-up play. 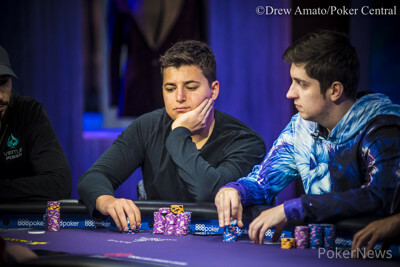 Both Imsirovic and Yu admitted they are fairly new to the high-roller scene after grinding out the mid-stakes for numerous years. 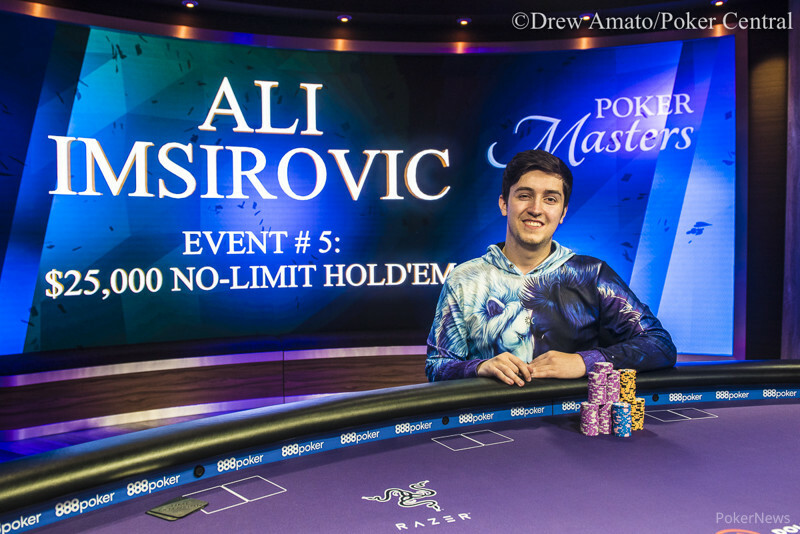 Yu has a little more credentials on his resume with three WSOP gold bracelets but Imsirovic is starting to make a name for himself as well. The Vancouver, Washington native will add $462,000 to his $1.1 million in career earnings after taking down the title. While Yu pocketed $330,000 for himself, he also moved into third place in the Purple Jacket race. Just 60 points behind the leader Brandon Adams, Yu will likely hop into the remaining two events looking to accumulate enough points to take down the prestige title of Poker Masters champion. When the action got underway, Daniel Negreanu was sitting on just seven big blinds and his chips quickly deteriorated with each passing orbit. He was unable to spin up a stack when he was forced all in with rags against Yu's pocket eights and finished in sixth place again. It was just moments later that Jason Koon found himself all in with ace-ten but ran into the ace-king of Ismirovic. Koon was unable to overcome the sizeable deficit and exited in fifth place. Four-handed play continued for nearly two hours with the chip stacks staying fairly level. Jake Schindler came into the day as the chipleader but seemed it took forever for him to even win his first pot. The cold deck continued for Schindler and he eventually found himself on just over five big blinds. He shoved all in from the small blind but was called by a much stronger hand from Imsirovic in the big blind. Schindler was drawing dead on the turn and walked away with a fourth-place finish. 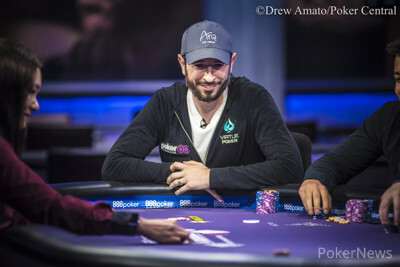 Brian Rast held onto the chip lead for a good portion of the final table but his aggressive play style eventually led to his demise. Imsirovic laid the trap on the button with pocket jacks and Rast fell right into with ace-five in the big blind. That swung the tide in Imsirovic's favor and he never looked back. Rast eventually bowed out in third place leaving the two young guns to battle it out for the title. Imsirovic took a sizeable chip lead into the heads-up battle with Yu and it only took three hands before all of the chips got in the middle. Imsirovic's pocket fives held against the ace-six of Yu to capture the win in quick fashion. That wraps up another final table here at the Poker Masters but you can check out the action currently going on in Event #6: $50,000 No-Limit Hold'em. The PokerNews team will be here to bring you all of the coverage throughout the entire series until a Purple Jacket winner is crowned. After just a couple of hands of heads-up play, Ali Imsirovic limped in on the button with . 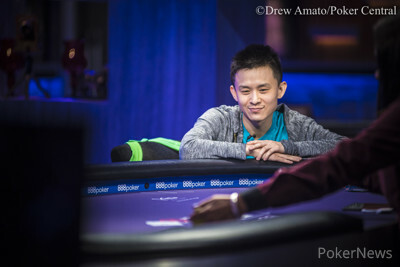 Ben Yu looked down at in the big blind and shipped all in for 2,510,000. Imsirovic snap-called with the pocket pair and the cards were on their backs. The flop fell giving Imsirovic a set of fives and a stranglehold on the hand. The on the turn left Yu drawing dead to the river and he was eliminated in second place for $330,000. Ali Imsirovic announced all in on the button with and Brian Rast called off his last 640,000 in the big blind after looking at one card. When both cards were tabled, Rast only had one overcard with . The flop came and Imsirovic was still in the lead with a pair of sixes. The on the turn gave Rast some counterfeit outs but the on the river sent Rast home in third place. The players are taking a quick break while they get ready for heads-up play. Ben Yu ripped all in for 1,210,000 on the button with and Brian Rast re-shoved over the top in the small blind after looking at . Ali Imsirovic got out of the way and the cards were on their backs. The flop came making it an uphill climb for Yu to stay alive. The landed on the turn which changed nothing but the on the river was exactly what Yu was looking for. Yu scored a huge double up to leave Rast on the short stack. Brian Rast limped in from the small blind with and Ali Imsirovic checked his option with . Both players flopped a pair on the flop and Rast led out for 120,000. Imsirovic made an easy call with the strongest hand and the landed on the turn. Rast checked this time and Imsirovic counted out a bet of 160,000. Rast still called and the on the river put four spades on the board. Rast checked again and Imsirovic bet 425,000 after improving to a flush. Rast let his hand go and Imsirovic increased his lead. Ali Imsirovic limped in on the button with and Ben Yu called in the small blind with . Brian Rast shipped all in with in the big blind and Imsirovic instantly called for his stack of 2,180,000. Yu got out of the way and the cards were tabled. Imsirovic held a strong advantage heading to the flop of which changed very little. The on the turn gave Rast a few more outs but the on the river locked up the win for Imsirovic who swapped stacks with Rast. The action folded to Jake Schindler in the small blind who shipped all in for his last 440,000 with . Ali Imsirovic snap-called from the big blind holding . The flop came and Imsirovic was still in the lead with his ace-high. The on the turn left Schindler drawing dead to the on the river. 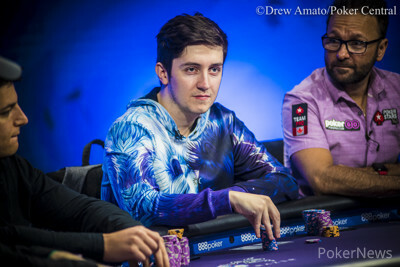 Schindler shook the hands of the remaining players and headed to the rail in fourth place.